A plethora of stars will come out for the ASPCA Young Friends Benefit next month. 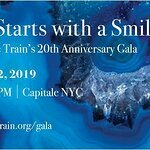 The Young Friends Benefit is a cornerstone of ASPCA fundraising efforts to directly impact the lives of homeless, abused and neglected animals across the country. This highly publicized event attracts more than 500 passionate and upwardly mobile young professionals including philanthropists, industry leaders, newsmakers and animal lovers. Among those expected to attend are Lo Bosworth, Artist Donald Robertson, Perez Hilton, Georgina Bloomberg, Jay Manuel, Jackie Miranne (Host, VH1 “Big Morning Buzz Live”), Adrienne Moore (Actress, “Orange is the New Black”), Vicky Jeudy (Actress, “Orange is the New Black”), Rachel Antonoff (Designer), Ginger Zee (Meteorologist, “Good Morning America”), Alicia Quarles (E! News), Ben Aaron (Host, LXTV NBC’s “New York Live”), Danielle Bernstein (Founder/Blogger, “WeWoreWhat”), Drena De Niro (actress), Brandon Stanton (Photographer, “Humans of New York”), Nastia Liukin (Athlete), Irina Shayk (Model), Melissa Bolona (Model), Allie Rizzo (Model), Brad Walsh, Annie Greenberg (Refinery29), Domingo Zapata, DJ Nick Cohen and more. This year’s event will feature cocktails, hors d’oeuvres, a silent auction featuring artwork by Donald Robertson and music by DJ Nick Cohen. The event is made possible through the partnership of Alex and Ani, Charity By Design, The Slater Foundation, Found My Animal, Baked by Melissa and UBER. In conjunction with the Young Friends event, One Kings Lane will feature specially designed prints and items by artist Donald Robertson, beginning October 6, 2014. 100 percent of the proceeds will directly benefit the ASPCA.